A bowl of piping hot chicken broth brings comfort like nothing else on earth - whether you make it like mama or go for classic Indonesian Soto. 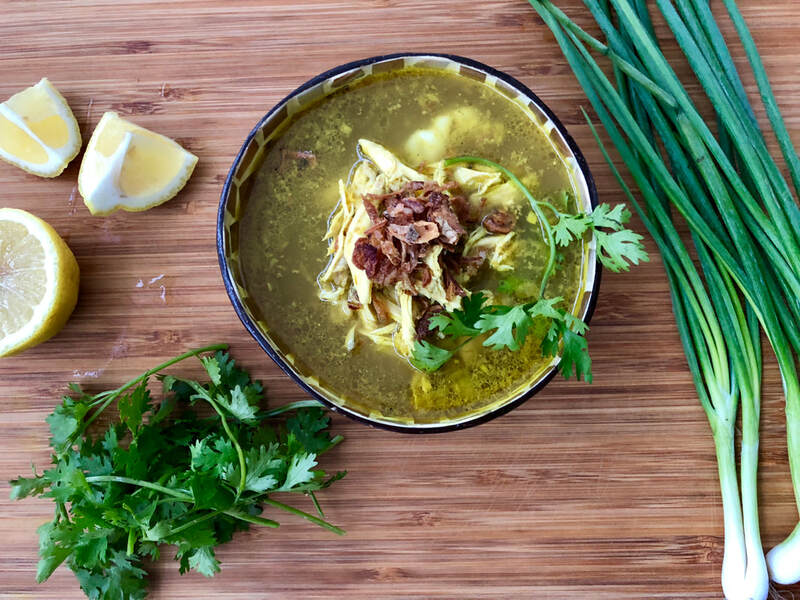 Infused with fresh herbs and spices like lemongrass, lime leaves, cardamoms and more, Soto Ayam is ultimate comfort food! Place chicken in a large saucepan with lemon grass, lime leaves, bay leaves, cardamom, cloves, salt and 2 liters water. Bring to a boil over high heat. Skim off any scum, reduce heat, cover and simmer for about 45 minutes until chicken is tender. Remove chicken pieces from broth and set aside. Remove and discard herbs and spices; reserve stock in the saucepan. When chicken is cool enough to handle, discard skin and bones and shred meat into bite-size pieces, set aside. Heat oil in a saucepan over medium heat. When hot, add spice paste and stir-fry for about 5 minutes until the paste starts to separate from the oil. Add cooked spice paste and shredded chicken to stock. Bring to a simmer and cook for 10 minutes. Cook noodles according to instructions on the package. Take the soup off the heat and stir in lime juice. Add more salt, if necessary. To serve, divide noodles in large soup bowls. Ladle chicken pieces and soup on top and sprinkle bean sprouts, herbs, and fried shallots. Serve hot with lime and sambal on the side.